After 4 visits to Farmers’ Markets and one local fruit/veggie stand (thanks Mark’s NW Fresh Produce! ), I got enough images to satisfy my client. My original concept for a clean, simple look was overwritten after I posted my entire photo collection from 3 different Farmers’ Markets. The client liked all of them, so we shuffled things around until we had a nice composition with room for some text in the middle and a place for attaching a map to the closest Farmers’ Market. A fun project! It’s currently at the printer. Looking forward to seeing the image at full 48×72 size! Did you get your 5 a day? 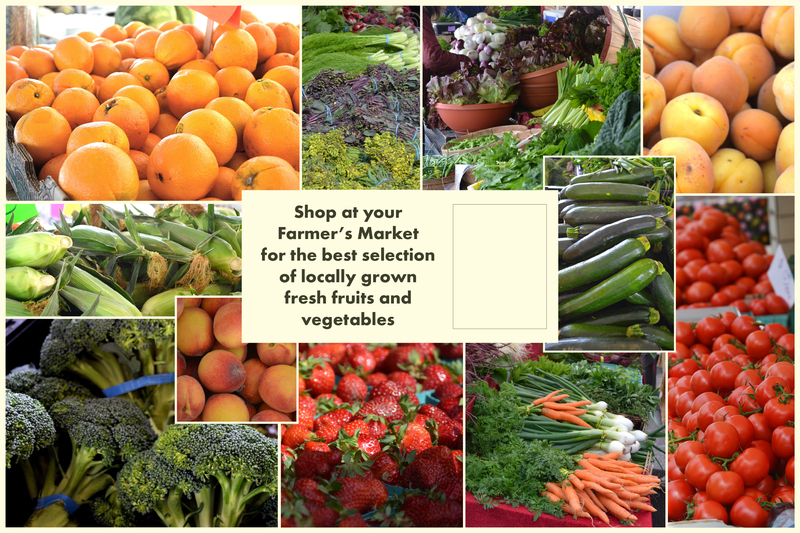 Today’s task is a quick turnaround poster for Farmers’ Markets in So Cal. I clicked through all of the images I have on hand to see if anything ignited a spark. My neighbor has a fruit stand nearby, so I ran over and picked up a good representation of things I know will grow in southern California. 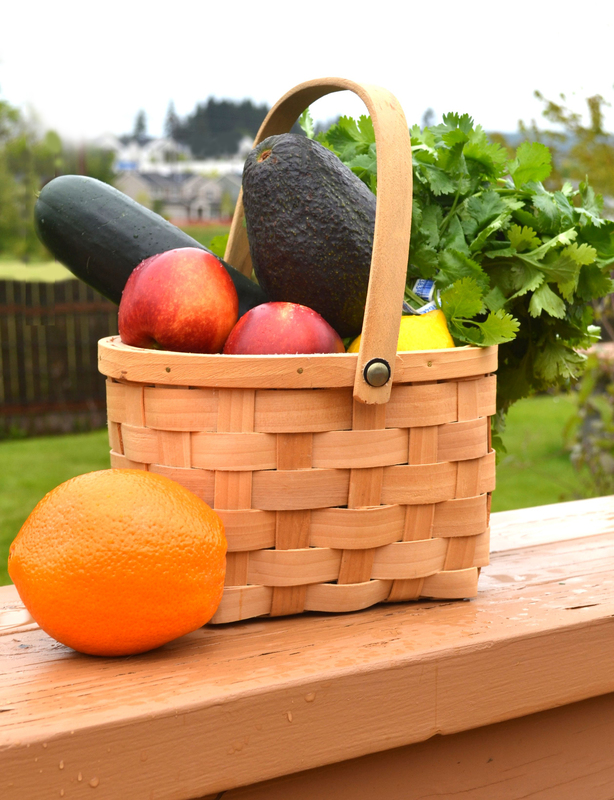 Then I grabbed a small basket from the kitchen shelf and threw it all together on the railing of our deck. The weather is not southern California-like right now, but the grey sky makes better lighting. The rain water on the railing + the uber-green grass and foliage behind may have to go. This one is still in process. I’ll post the finished product after some further direction from my client. Did you get your Five today?